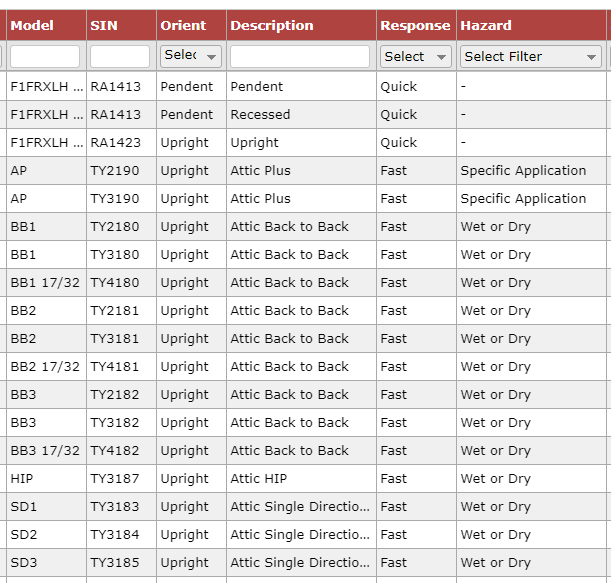 ​We want this to be the most up-to-date and beneficial tool you have to evaluate or inspect sprinklers on the market and are committed to quickly creating updates to any errors found in the database. Thank you for your input in helping us achieve that goal! 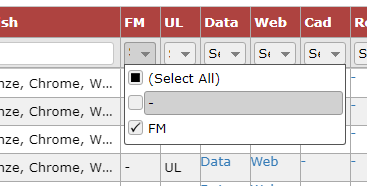 Is there a way to filter for FM Approval? 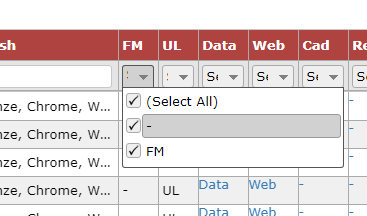 - Yes, you can filter any column of the table. - Next, uncheck the category you do not want to see. In this example, uncheck the dash "-" option. - Now, click anywhere else on the chart. The entire table is now filtered for only FM Approved sprinklers.